Selane Products Inc (Chatsworth, CA) has been a Verified Vendor and enrolled in the Simplified Acquisition Program with US Federal Contractor Registration since April 2014. US Federal Contractor Registration conducted the required System for Award Management (SAM) registration for Selane Products Inc in order to become a certified government contractor. Selane Products Inc (Chatsworth, CA) has been a Verified Vendor and enrolled in the Simplified Acquisition Program with US Federal Contractor Registration since April 2014. US Federal Contractor Registration conducted the required SAM registration for Selane Products Inc in order to become a certified government contractor. Since their enrollment in the Simplified Acquisition Program, won a government contract totaling $7,721. Both of the contracts awarded were from the Department of Health and Human Services under the North American Industry Classification System (NAICS) code 339114 - Dental Equipment and Supplies Manufacturing. Acquisition Specialist Johnathan Maness of US Federal Contractor Registration assisted Selane Products Inc with the government contracting qualification process. During the qualification process, Johnathan reviewed their federal competition rate, found available contracts and government spending trends in their industry. After the process was completed, it was determined that the Simplified Acquisition Program would be the best marketing program for Selane Products Inc to win multiple government contracts from government buyers. 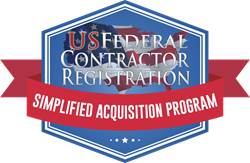 The Simplified Acquisition Program is designed to help businesses network with government buyers, develop brand awareness, and win available simplified acquisition contracts/micro-purchases. Vendor Name: SELANE PRODUCTS, INC.
With five locations in the United States, six facilities in Canada, one in Australia, and Taiwan, Space Maintainers Laboratories specializes in the design and construction of orthodontic and orthopedic appliances a full range of sleep, snoring, and OSA appliances as well as the most comprehensive inventory of pediatric designs available anywhere in the world. SML is known for having the most up-to-date product selection in the industry as well as the best orthodontic and pediatric products available anywhere. SML buys in quantity to supply their clients with exactly the amount they need, at a price that makes sense to their bottom line. Throughout the year, SML provides ADA CERP-approved seminars, independent CE courses and training videos aimed at assisting their clients in developing the techniques and skills necessary to grow a practice. Prime vendors and Procurement Officers interested in contacting Selane Products Inc for contracting opportunities can contact Scott Veis at (800) 423-3270 or by email at scottv@smlglobal.com. Businesses can also call Acquisition Specialist Johnathan Maness at 1(877) 252-2700 Ext 739 to qualify for government contracting or begin the enrollment process in the Simplified Acquisition Program. Interested vendors can read more about the Simplified Acquisition Program at http://www.simplifiedacquisitionprogram.org/.